Urinary Drainage Bag acts as a reservoir bag that is attached to the connector of urinary catheter to collect the out flow of urine. Special Contour Shape for even filling & complete drainage of urine. Manufactured from transparent sheeting to provide clear vision of the urine color. 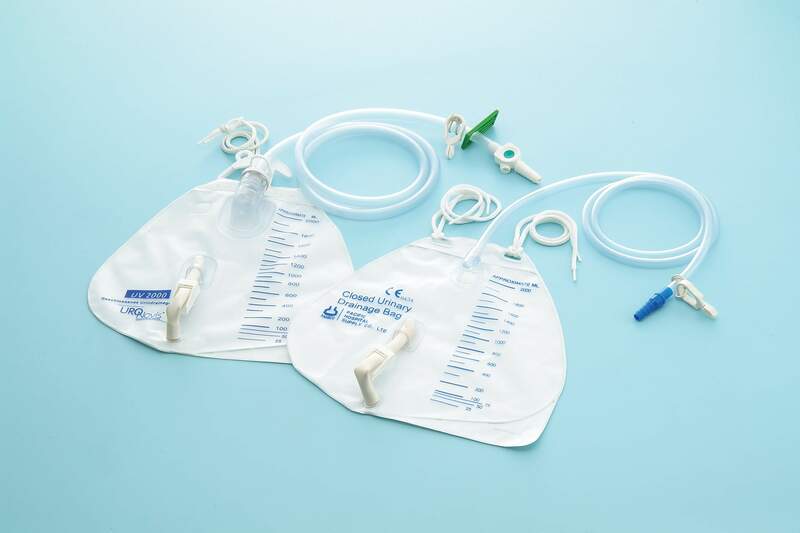 Bag with Measuring Volume from 25 ml and scaled in 100 ml increments up to 2000 ml capacity. Smooth and Kink Resistant Tubing is ensure unrestricted flow of urine. Air Vent secures constant airflow through the system. Needle Free Sampling Port allows aseptic mid stream urine sampling. Non-return Valve prevents urine backflow. Universal Double-Hook and Rope Hanger for fixation on all bed types. Simple Operated Bottom Outlet facilitates extremely fast emptying of the urine bag.